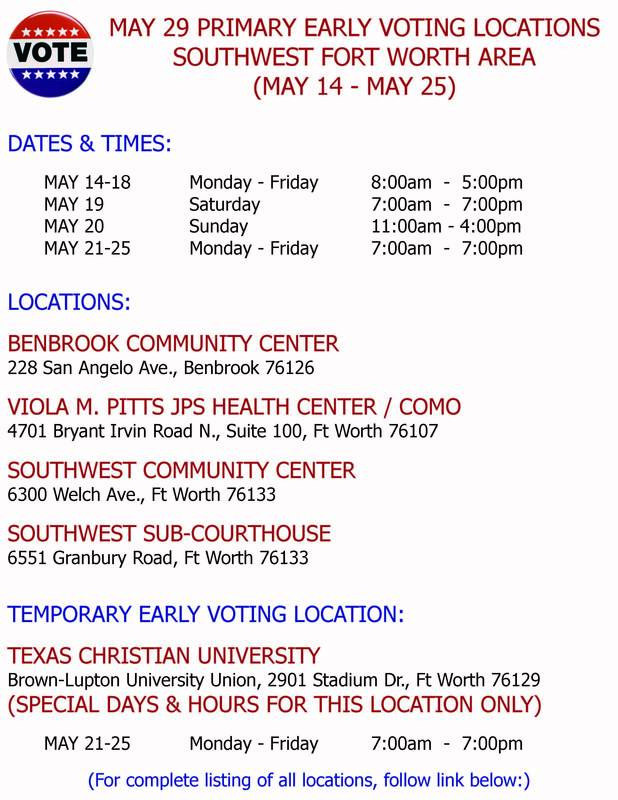 Reminder – FWRW April Meeting is April 25! Special Note – FWRW 2012 Yearbooks will be distributed at the April meeting – RSVP today for the meeting and don’t forget to pick up your copy while you’re there! To read President McCoy’s April 2012 Message, look for it under Pages at the top of the column to the right, or click HERE. What is a TFRW Patron? Learn more under Pages in the column to the right, or click HERE. … for providing refreshments and sponsoring the FWRW Board of Directors meeting in April! 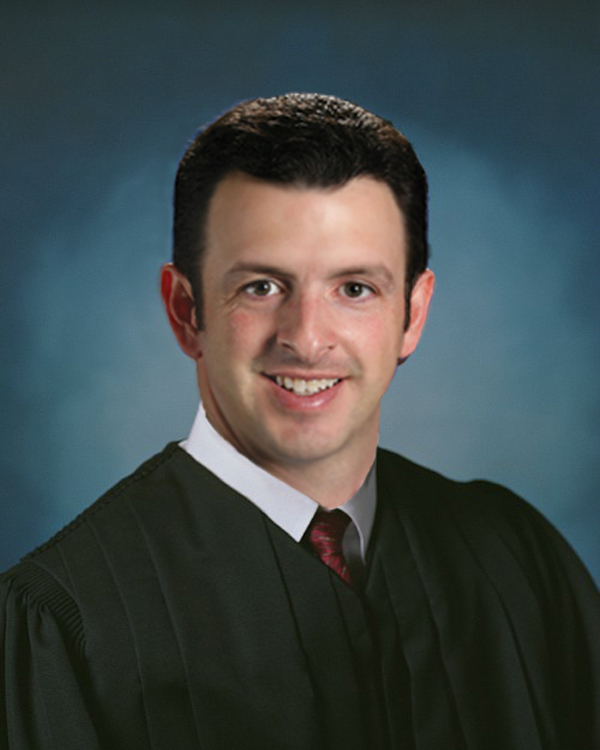 Justice McCoy serves the citizens of Tarrant County, as well as 11 other counties in north Texas, as a justice on the Second Court of Appeals. 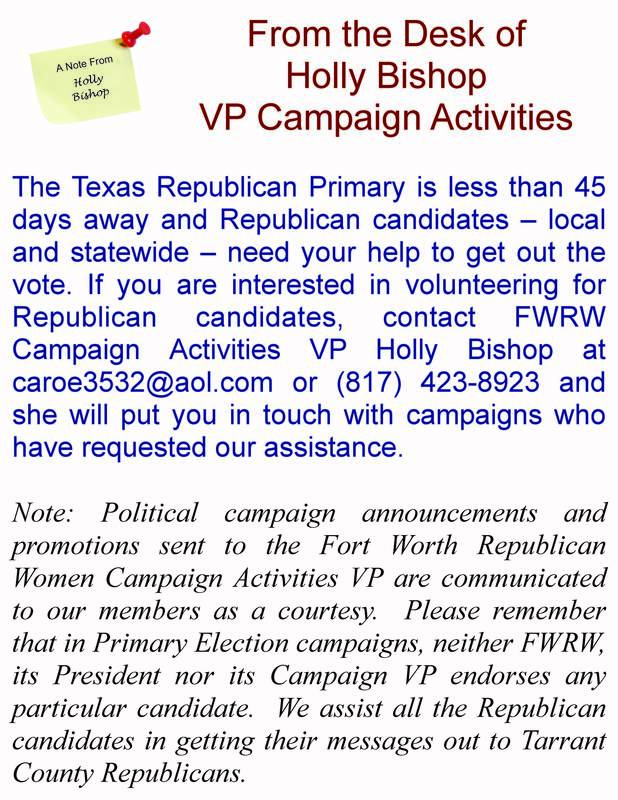 An Associate Member of Fort Worth Republican Women, Justice McCoy has the additional distinction of being married to Fort Worth Republican Women President Cyndy McCoy. On June 8, 2012, in conjunction with the State Republican Convention, the TFRW will host its Tribute to Women Luncheon from noon until 2 o’clock p.m at the Omni Hotel in downtown Fort Worth. TFRW invites all Republican women to join in the celebration as we honor Senator Kay Bailey Hutchison for her outstanding service to Texas in the U.S. Senate. TFRW has a wonderful tribute planned for the Senator and knows everyone will want to share in honoring such a special Texas Republican woman. This TFRW Tribute to Women event is held every two years in conjunction with the Texas Republican Party Convention. TFRW will also be honoring special ladies from local clubs throughout the state who have volunteered their time and efforts to TFRW and the Republican Party. It is truly an honor to receive this award and to be recognized at this luncheon. 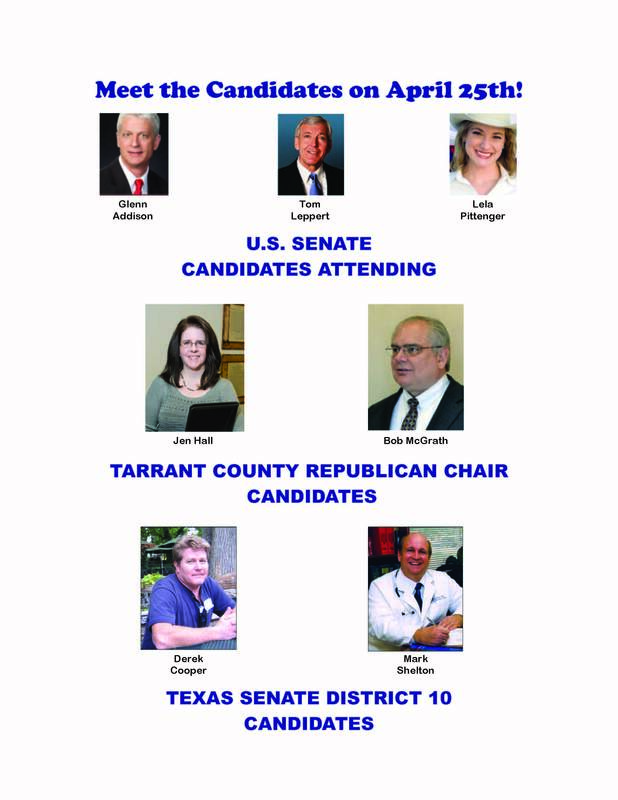 Honorees will have a photo taken with Senator Hutchison and TFRW President Carolyn Hodges as a reminder of this special day. The mission: To reduce injuries and deaths resulting from alcohol related motor vehicle crashes by requiring repeat DWI offenders to undergo a judicially supervised regimen of intensive supervision and treatment. The need for this program arose from the never ending revolving door of the criminal justice system that would send a DWI offender to prison for a short term and release them back into the community with no treatment whatsoever. Before long, they are back on the road driving drunk again. After much research and experience on the bench, Judge Sharen Wilson decided to try something different. This is not your typical probation as usual! Judge Wilson piloted Tarrant County’s Felony Alcohol Intervention Program (FAIP) in 2006 with the idea of coordinating alcohol abuse intervention with judicial oversight, enhanced supervision and individual accountability. Participants in FAIP are required to do jail time up front and then complete an individualized, cognitively-based treatment program specifically designed for DWI offenders. Participants also receive a fine, court costs, community service hours and a driver’s license suspension. A case manager monitors each participant, conducts home visits and requires random urinalysis to detect elicit drugs or alcohol. The Court holds weekly compliance hearings to review the progress of each participant. Incentives and sanctions are used as methods of motivation for the participant to excel in the program. If a person does what is required of them, the program can be completed in four years. On the other hand, if the participant can not follow the rules, they will be sentenced to seven years in prison. FAIP has been called the best vehicle within the criminal justice system for expediting the time between arrest for DWI and entry into treatment. It also reduces the costs of repeated crime and increases public safety by addressing repeated DWI as a substance abuse problem. The program was so successful; it grew and grew until a second court was needed. In 2011, Judge Wilson asked if I would help her run the program in my court as well. I was both honored and excited to have the opportunity to take part in supervising such a unique and beneficial program. It was a natural progression for me as I had previously worked with Judge Wilson in the FAIP program as a former assistant district attorney responsible for screening DWI cases for eligibility into the program. We now split the case load and are able to more adequately handle the challenges of such an intense treatment program. 237 people have started the program, 49 are in phase 5 after-care, and only 26 have had their probation revoked and gone to prison, which equals: 211 sober happy people! Earlier this year, my work with the FAIP program resulted in my appointment by Governor Rick Perry to serve on his Criminal Justice Advisory Council. The Council will advise the Governor on the creation, staffing, operations and performance of specialty courts in Texas. I thank Governor Perry for giving me the opportunity to serve the citizens of the State of Texas and look forward to bringing the experience and work ethic that Tarrant County is known for to the Council. Along with seven other talented members of the Council, I will work to improve and enhance specialty courts throughout the state. We are fortunate in Tarrant County to have Judges like Sharen Wilson who go above and beyond their normal duties to oversee such cutting edge criminal justice alternatives. Not only does FAIP provide excellent treatment to those in need, it also provides the opportunity for reduced crime on our streets and a more safe community for us to enjoy. I look forward to being a part of this outstanding program for many years to come. Not Having Lunch? No RSVP is necessary.